Eighteen liters is roughly the volume of a small to mid-sized backpack -more than enough room for a day trip's worth of storage. 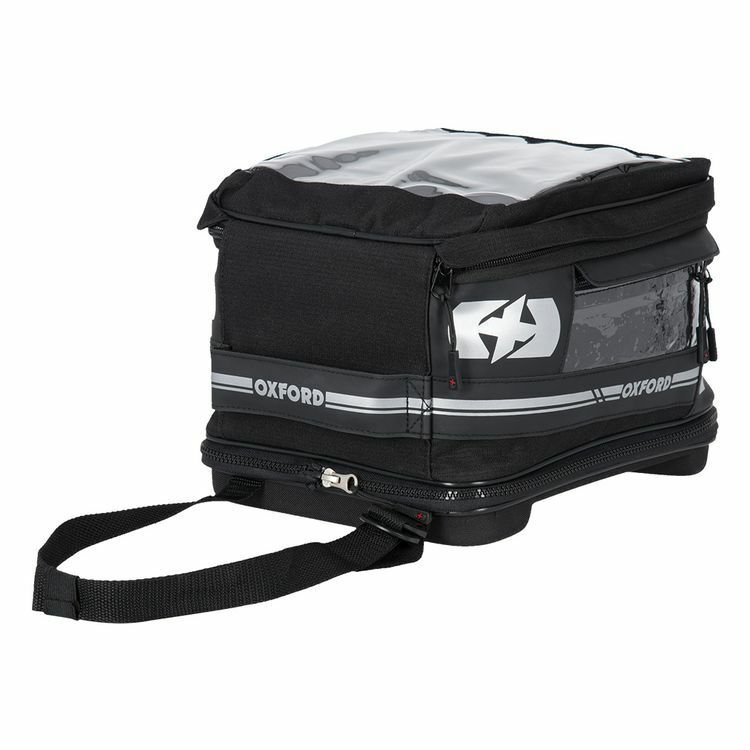 The Oxford F1 QR Tank Bag snaps into an Oxford Quick Release Tank Bag Adapter for easy on and off engagement. Bike-specific tank bag adapters sold separately. Note: Requires Oxford Quick Release Tank Bag Adapter for installation (sold separately).